Laid down, 19 September 1944, at New Jersey Shipbuilding Corp., Barber, N.J.
Decommissioned, date known, at Naval Station Long Beach, CA. 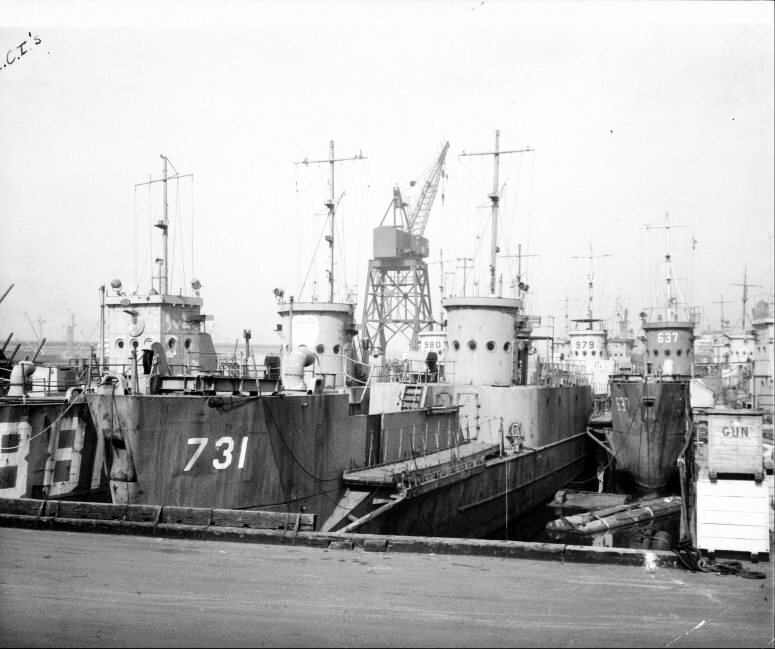 78k Decommissioned LCI's moored at Naval Station Long Beach, CA., circa 1946. Ships that can be identified include LCI(L)-881, LCI(L)-731, LCI(L)-980, LCI(L)-979, and LCI(L)-637.